HELLOWEEN are one of the most influential and internationally successful acts of the global metal scene. 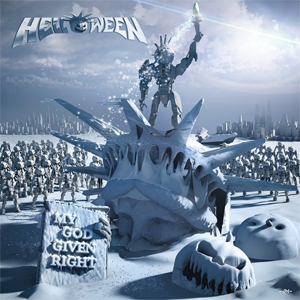 With the release of their 15th studio album My God-Given Right, due on May 29th (EU), June 1st (UK) and June 2nd (US), the pumpkin heads are set to further cement their title as the founding fathers of German melodic speed metal. The band's first self-titled EP was released in 1985, making their new album My God-Given Right the celebratory marker for their impressive 30 year career. HELLOWEEN has released a new album trailer, in which they talk about the background of the record, as well as give insight into their album listening party on the island of Tenerife. Check it out below.